Arrive in El Calafate. Afternoon birding in Laguna Nimez. Drive to El Chalten. Birding South Beech forest. Morning birding around El Chaltén. Afternoon drive to the steppes near Strobel plaetau. Full day seraching for Hooded Grebes. Return to El Calafate birding en route. The barren steppes and vast woodlands of Southern Patagonia hold a variety of wildlife specially adapted to the unique conditions of this extreme land. This trip is specifically aimed to look for the species of this remote region, the Hooded Grebe being our main target. 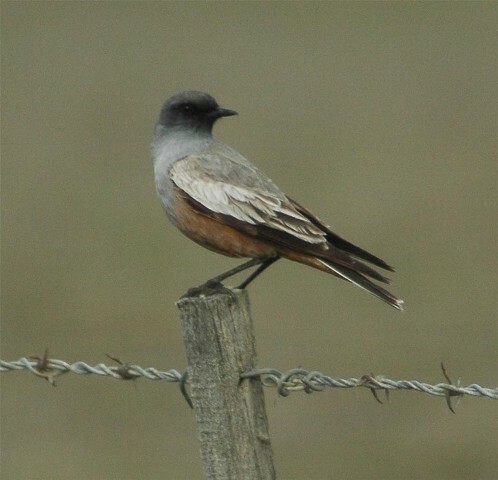 Its recent addition to the Endangered species list makes it one of the most sought after birds in Patagonia. Although populations are declining and the terrain is challenging, we’ll go looking for it high up on the plateaus where we’ve been successful in recent seasons. Chances are good of finding other range restricted birds here, exclusive to this ultimate boundary of continental South America. Upon arrival in El Calafate, our birding starts in Laguna Nimez. 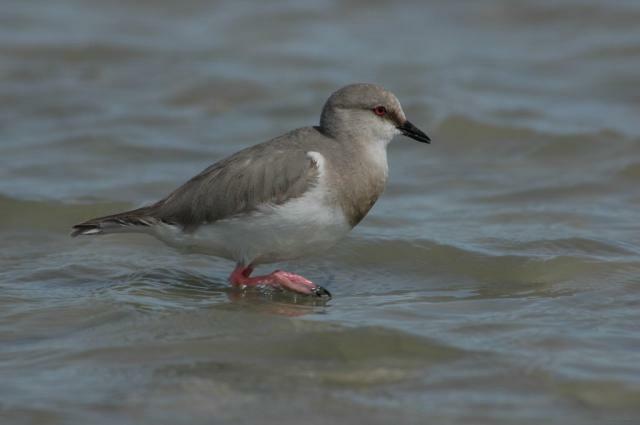 Special birds found here include Magellanic Plover, ducks and geese. The following day we drive to El Chalten where we will look for specialities of the South Beech forest, such as Magellanic Woodpecker, White-throated Treerunner, Rufous-tailed Plantcutter and Spectacled Duck. Next day we continue our trip entering the wildest part of Patagonia driving towards a typical Estancia, crossing a vast and arid expanse of steppe land. On arrival, Rio Chico resembles an oasis, with its extensive marshes, home to a variety of birds, most notably, the elusive Austral Rail. Uphill from here is the Strobel Plateau, a remote area of barren deserts dotted with small lakes, where the mythical Hooded Grebe still survives. Although numbers have been dropping over the last few years, we’ll dedicate our time to concentrate our search on those lakes which offer the best conditions of finding this spectacular bird. Crossing the steppes on our return to El Calafate, we will also keep a lookout for yet another elusive species, the Patagonian Tinamou, as well as the beautiful Tawny-throated Dotterel and Chocolate-vented Tyrant.